Services we offer: Aerating, Garden Tilling, Sod/ Seeding Prep Tilling, Hydroseeding, Power Raking, Overseeding. 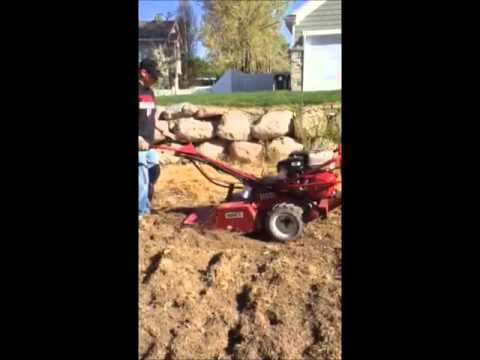 We make it easy to get your tilling or aerating done. No need to deal with the hassle of renting a machine or owning it to use it once a year. I own heavy duty equiptment that will get the job done right. We can get your lawn seeded at a fraction the cost of sod. We include the highest quality seed and materials at heavy application rates. **Get your neighbor to join in and I'll give you both a discount!! keywords: tilling, garden tilling, protilling, pro tilling, sod preparation, sod, sod prep, aerating, aeration, aerate, roto tilling, rototilling, hydroseeding, power raking, dethatching, seeding, overseeding. Aerating. Jason came by quickly. Was very professional , efficient and Responsive. It was great to get it out of the way early in the Spring so that our lawn will be beautiful in the summer. Thanks Jason ! We finally have a green lawn!! Jason has tilled by garden for a few years now. He does a good job, I will keep using him. Jason did a fantastic job with my aeration. He was prompt, quick, didn't leave a mess, and did everything he agreed to do. I will definitely be using his services again! 100% happy with the quality of work. Company pays close attention to detail and goes above and beyond. Prompt service and quick to respond to all my inquiries. I plan to use this company again.